In ROMANIA, the meaning of ìpersonal dataî is defined in the Romanian Data Protection Act. This Act defines personal data as any information concerning the personal or material circumstances of an identified or identifiable individual. This includes information such as your name, your address, your telephone number or your date of birth. By using the link ìContact usî, you can send us enquiries of a general nature. To process these data, we will collect your contact details (name and email address). We will store both these data and the correspondence transferred by us and use them exclusively for the purpose for which you transferred it to us and in order to improve our service. If you decide to become active in the GO4BOOKING.NET Community, for instance by uploading photos or by creating texts such as reviews and descriptions, you will decide yourself which personal data will be visible to both GO4BOOKING.NET and all visitors of the platform. You may change these settings at any time. GO4BOOKING.NET will not disclose any personal data unless you have given us your explicit prior approval. If you participate in the GO4BOOKING.NET Content Community, payout of your earned miles requires that you provide your bank details. We need these details in order to pay out when you wish us to do so the miles you have collected. Alternatively, you may also select PayPal or Skrill as a payment mode. The GO4BOOKING.NET user account and the information contained therein are encrypted with a password, so that the user alone can access such personal data. This user profile can be edited by the user at any time. If you have given your separate consent to receive our newsletter, your email address will be stored and used for the purpose of personal email advertising of hotel offers, until you unsubscribe from the newsletter. We employ the double opt-in method for the registration. In other words, after you have registered for the service and informed us of your e-mail address, you will receive an e-mail in return from us, containing a link that you must use to confirm your registration. Your registration and confirmation will be recorded. The newsletter will not be sent until this has been done. This procedure is used to ensure that only you yourself can register with the newsletter service under the specified e-mail address. It is possible to unsubscribe at any time. To unsubscribe, please send an email SUPORT@GO4BOOKING.NET or use the corresponding link at the end of each email. 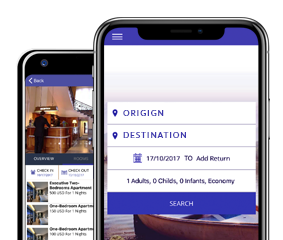 In individual cases, offers can be booked with the respective Advertiser through "GO4BOOKING.NET Express Booking" via a direct interface on the relevant booking site. During this procedure, GO4BOOKING.NET collects specific data of its users ñ such as the name, address, and credit card details ñ on behalf of the hotel booking site that is the contracting partner of the user. GO4BOOKING.NET will then transfer these data to the relevant hotel booking websites so that the user can then effectively file his/her offer to book the hotel room through GO4BOOKING.NET. As a search engine, GO4BOOKING.NET only brokers the hotel deals of the relevant booking websites. Accordingly, a booking is made on the pages of the hotel booking website concerned. In each case you enter into a contract with the relevant booking website and not with GO4BOOKING.NET. Data will be collected there directly by the third party. Please also note the relevant data privacy statement of the booking website. I In certain cases, disclosure to national and international authorities and/or courts is required by law due to a prior administrative or court order. In these cases, the data are passed on in a manner complying with the legal requirements. ii Insofar as this is required in order to prevent illegal or potentially illegal acts, or to protect the rights, property or security of GO4BOOKING.NET, the website or users of the website, and to protect such in in a legally admissible manner. iii In relation with a business transaction, such as the sale of a branch or a department, a merger, the consolidation or sale of assets or, in the unlikely event of insolvency, we may pass on your data to the competent authorities, the appointed insolvency trustee and/or the potential transaction partner. We use so called ësession cookiesí, which, depending on the settings in your browser, will be deleted when the browser is closed. If you select the symbol "Share" and select a corresponding social media service, you may publish an event (such as a specific search result) on the website of this service. If you go to the link of a service below the text line "Follow us", you can follow our activities on the platform of the relevant service. We allow you to sign up and log in using your Facebook account. If you sign up using Facebook, Facebook will ask your permission to share certain information from your Facebook account with GO4BOOKING.NET. This may includ your first name, last name, email address in order for us to verify your identity and gender, general location, a link to your Facebook profile, your timezone, birthday, profile picture, your "likes" and your list of friends. If you sign up to GO4BOOKING.NET using Facebook, your GO4BOOKING.NET account will be connected automatically to your Facebook account, and information regarding your activity on GO4BOOKING.NET, may be shared with Facebook and may be published in your timeline and your Facebook friendsí newsfeeds. GO4BOOKING.NET implements technical and organizational security measures to safeguard stored personal data against inadvertent or deliberate manipulation, loss or destruction and against access by unauthorized persons. Our security measures are continuously improved in line with technological progress. Upon written request, we will be glad to inform you pursuant to our obligation by law if and which personal data of yours are stored with us. Under the conditions of the provisions of the ROMANIAN Data Protection Act, you may request correction, blocking and deletion of such data, unless these requests conflict with statutory time limits for storage. In the event that there are variances between the data privacy statements in various languages arising from translation, then the German version shall prevail.